Customer signature is required to initiate the project (event, show, rental, sale, misc. services). Alternatively, confirmed status of this quote/event folder as determined by Show Imaging constitutes acceptance of this contact by the customer listed on the document. Any notes or addendums in this document are considered appended to this agreement. Additional terms and conditions may apply. Please visit our website for more information. 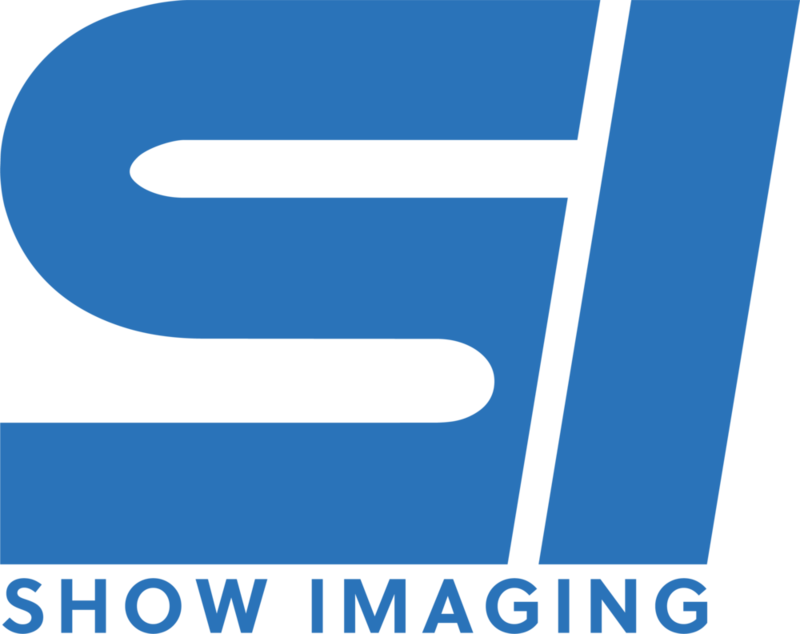 SI – Show Imaging Inc and its subsidiaries. Customer – As interpreted by Show Imaging or the party listed under client on the quote/event folder. Quote – Financial document that calculates costs based on the items included in it. Event Folder – Document that summaries quotes for an event. This may not include all costs. Confirmed – A status that implies that the event, show, rental, sale, or project and all costs that are included in the related quotes/event folders are acknowledged and approved by the client. Account Manager – Show Imaging employee in charge of the overall management of an event, show, rental, sale, etc. Payment and Cancellation: The payment term for this contract is Net 10 with a 50% deposit unless otherwise noted in quote header or other arrangements have been made in writing. If an event is canceled at any time we reserve the right to bill for any incurred costs, fees, or services as determined by Show Imaging. If a balance is not paid by the due date listed on the invoice all discounts are VOID. In addition, a 10% late fee may apply. Additional fees may apply for unpaid invoices beyond 60 days. Indemnity: The customer agrees to defend, indemnify, and hold Show Imaging, Inc. harmless from and against any and all claims, actions, causes of action, demands, rights, damages of any kind, costs, loss of profit, expenses and compensation whatsoever including court costs and attorneys' fees in any way arising from, or in connection with the equipment rented and/or services rendered, including, without limitation, as a result of equipment's use, maintenance, or possession, irrespective of the cause of the claim, except as the result of Show Imaging’s sole negligence or willful act, from the time of arrival on site until leaving time. Liability: The Customer is responsible for any theft or damage to Show Imaging equipment for any cause whatsoever. This responsibility begins when the truck doors are unlocked at the delivery location or the moment the equipment is in the customers vehicle at pickup. This ends when the truck doors are locked or when equipment is completely offloaded from the customer’s vehicle at Show Imaging. If any equipment is lost, stolen, damaged or destroyed, customer agrees to pay to Show Imaging the full replacement cost of new equipment of the same type and description, plus an added 10% of the replacement cost to cover handling and restocking. These charges are in addition to the rental charges and are due upon receipt of invoice. If an item is damaged and needs to be replaced the customer has the right to keep the damaged item. The customer must pickup the item within 30 days of the item being damaged. After 30 days Show Imaging will discard of the item(s). Customer acknowledges that they are familiar with the proper and safe operation of the rented equipment and that said equipment is being used at their own risk. The customer is responsible for providing appropriate storage of all equipment on job sites. Unless otherwise agreed in writing, customer shall be responsible for the replacement cost value or repair cost of the Equipment (if the Equipment can be restored, by repair, to its pre-loss condition) whichever is less. Customer may be required to provide proof of general liability and miscellaneous equipment coverage insurance. If there is a reason to believe a theft has occurred, customer shall file a police report. Loss of use shall be calculated at the rental rate provided in this agreement. Accrued rental charges shall not be applied against the purchase price or cost of repair of the lost, stolen or damaged Equipment. In the event of loss for which Show Imaging is responsible, Show Imaging liability will be limited to the contract price. Specifications: Show Imaging hereby agrees to provide all the equipment (referred to in this document as "Equipment") and personnel specified on the attached quote, event folder, or invoice. Equipment has been tested in accordance with reasonable industry standards and found to be in working order prior to the inception of this agreement, and found to be fit for its intended purpose. Other than what is set forth herein, customer acknowledges that the Equipment is rented/leased without warranty, or guarantee, except as required by law or otherwise agreed upon by the parties at the inception of this agreement. Damage and Loss: If the customer discovers any rented equipment not functioning normally, or witnesses damage to an item the customer agrees to notify the account manager listed on the attached quote immediately. Also, the customer agrees to mark the damaged item with what happened and what is wrong with the item. Weather: This Agreement is for service rendered rain or shine. Customer shall be responsible for maintaining a safe working environment from inclement weather conditions for all personnel and Equipment, using whatever means necessary. Both parties have the right to interrupt the performance of any duties hereunder in the event of inclement weather, lack of safety, or any other conditions which one or both parties regard as hazardous. Any such interruption, postponement or cancellation of services shall not affect Show Imaging’s compensation specified herein. The customer obligations under this Agreement shall be extended by a period equal to any period of force majeure (circumstance beyond the control of the Company) that prevents performing such obligations. If there is rain, wind, or any act of mother nature that causes damages to Show Imaging equipment/gear the customer is responsible for fixing or replacing the damaged items. Labor: All labor billed on this quote is an estimate and may not include overtime. Customer agrees to pay overtime labor, if needed, which will be included in the final Invoice. Unless otherwise agreed upon in writing, Show Imaging must be allowed to provide proper supervision of all jobs. If unable to do so, all broken and/or missing equipment due to lack of proper supervision will be billed to customer at full replacement cost in addition to any loss of use days incurred. Parking and Transportation: Equipment transportation is the responsibility of Show Imaging and, unless prior arrangements have been made in writing. The customer will provide adequate parking immediately adjacent to the staging area for the loading and unloading of equipment and parking/vehicle access permits to Show Imaging. Parking shall be supplied at no cost to Show Imaging for any vehicle. It is customer responsibility to retain access to and from the stage area and to secure parking during the entire term of this Agreement. Soft Goods: All soft goods must be folded and put into respective bag or container. Failure to do so will incur additional charges. The use of staples, or adhesive on drapery is prohibited. Drapery must be clean and dry. Additional charges for cleaning and fire retardant will be charged. Cable: All cable must be returned coiled and secured with provided tie strap. Electrical: Customer shall provide the electrical power and circuits necessary for Show Imaging to perform specified services hereunder. Customer will use only licensed and bonded electricians in preparing electrical requirements. Power must be in place and tested. Rigging: Customer shall provide the rigging for the venue if required by the event unless otherwise noted. Permits and Licenses: Customer agrees to obtain and provide, at own expense, all necessary permits, licenses, and authorizations from any governing entity necessary for the execution of this contract. Security: Unless agreed otherwise, customer will provide adequate security to protect all equipment and personnel during the term of this agreement. Typographical errors: Typographical errors occur from time to time in both pricing and product information. Show Imaging has the right to refuse or change any order placed for product(s) listed at the incorrect price, availability or specification. The customer is responsible for reviewing the quote, event folder, or invoice to ensure all items are included and the correct quantities are specified. Show Imaging is not responsible for any items not on listed on the quote, event folder, or quote. Pricing and Specification Changes: All prices and specifications are subject to change without notice. Availability: All stock items are subject to availability and may be discontinued without notice. Confidentiality: This event folder, quote(s), and attachments are confidential and proprietary information and cannot be shared with any other parties. Shipping: Unless shipping is listed on the attached quote the customer is required to pick up the purchased equipment in an appropriate vehicle. If the customer does not have a suitable vehicle Show Imaging can provide delivery at an additional cost. Note that shipping costs listed may not include delivery to the customer. Returns: Unless defective, if opened and used, product returns will be handled on a case-by-case basis. This applies to all products that are available for purchase. All damaged or defective merchandise returns are subject to inspection at a Show Imaging facility before a credit will be issued. Show Imaging may absorb the cost of return shipping for damage/defective merchandise returns. All accommodation returns (non-defective merchandise) must be pre-paid by the customer. Any damage incurred by the shipping carrier must be received and so noted on the bill of lading. Please e-mail us pictures to the assigned account manager with a signed copy of the damage noted on the Bill of Lading, so that we may process your return. Custom Items: Custom items cannot be returned under any circumstances. Warranties: Show Imaging does not provide any warranties on sold equipotent unless otherwise noted.